If there is a single defining component to Greater Yellowstone, it is the unique and iconic wildlife that roam throughout the region. To thrive, the wildlife of Greater Yellowstone need healthy, connected habitats and large expanses of wild country. Advocate for sound policies that protect Yellowstone's iconic and wild animals around the region. The grizzly bear is the wild icon of Yellowstone. Thirty years ago, only 200 bears remained. Today, over 700 grizzlies are found across the wildlands of Greater Yellowstone. The Greater Yellowstone Coalition is working to ensure grizzly bears thrive in this region for years to come. 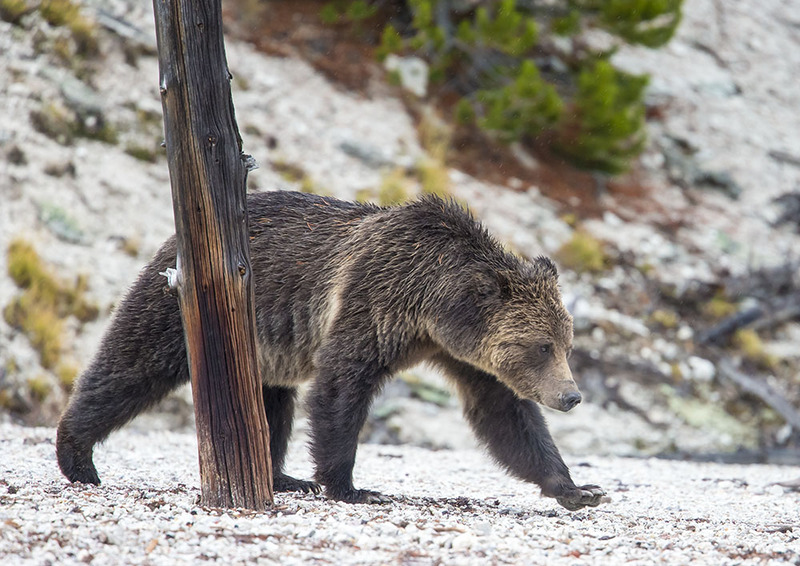 Our goals center on protecting core grizzly bear habitat, reducing conflicts with humans and connecting Greater Yellowstone’s bears to other populations in the Northern Rockies. Some of our strategies include advocating for new land protections in critical bear habitat, voluntary livestock allotment buyouts, and funding range riders and electric fencing. We are also working to construct six wildlife crossing structures beginning in 2017, and to bearproof all 164 National Forest campgrounds surrounding Yellowstone. Click here to read more about how we keep bears alive. No visit to Yellowstone is complete without marveling at hundreds of awe-inspiring bison. With more than 16 million animals once roaming the Northern Plains, the iconic American bison was nearly wiped out by 1900. Today, Yellowstone’s wild bison are the last genetically pure herds in North America. Protecting Yellowstone’s bison is a top priority for the Greater Yellowstone Coalition. We are working to end decades of hazing and slaughtering bison that migrate beyond Yellowstone’s boundaries. Our goal is to ensure bison are finally managed as wildlife and have safe access to more than 400,000 acres of habitat outside the park. Click here to read about how we're doing that. 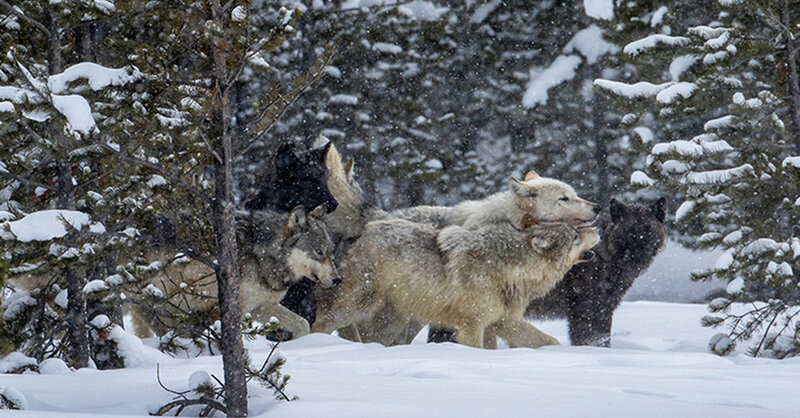 Twenty years after the reintroduction of gray wolves into Yellowstone National Park, we are celebrating a relatively stable and resilient population. With 1,600 wolves roaming the Northern Rockies and a healthy population of over 500 in Greater Yellowstone, this carnivore is once again fulfilling its keystone predator role and representing a wild, intact Greater Yellowstone Ecosystem. Working in Montana, Idaho, and Wyoming, we monitor wolf population trends and proposed management actions. We actively contest proposals that threaten the health of the wolf population, work proactively with ranchers to reduce conflicts with livestock and develop new, innovative tools and funding sources that maintain wolves on the landscape. Healthy, robust herds of elk, mule deer, bighorn sheep, moose, and pronghorn represent an intact and connected ecosystem. Ensuring these great herds remain is critical to the web of life in Greater Yellowstone. Land development, roads, fences and disease all threaten these wide ranging species. Our job is to protect key habitats like winter range and migration corridors, as well as advocate for management policies that allow these magnificent animals to thrive.